Analyttica – is a global analytical solutions and services provider. With our innovative TreasureHunt™ platform, we create a sustainable business impact across industries and functions. Analyttica TreasureHunt™ is an experience based knowledge immersion and collaborative workflow platform for advanced analytics, on the cloud. The platform is powered by a proprietary analytics engine, which integrates with multiple statistical packages, such as R and SAS, allowing point and click user operations instead of coding. Anunta Technologies – Anunta Technology Management Services is an IT service company with a specialized focus on Application Delivery as a Service.Anunta has developed a unique offering called ‘Application Delivery as a Service’ (ADaaS) on its own proprietary platform. This solution has proven business and IT benefits that are working for a number of companies around the world. Fix Stream – we make sense out of massive and disparate data through automated correlation to solve complex Datacenter and Cloud problems using a fraction of time and resources. We enable simplistic and elegant visualization of the vast and varied infrastructure with an application centric view – putting the applications and business services at the center! All this in a single pane of glass and in near real time! Julia Computing -Julia is a high-level, high-performance dynamic programming language for technical computing, with syntax that is familiar to users of other technical computing environments. It provides a sophisticated compiler,distributed parallel execution, numerical accuracy, and an extensive mathematical function library. Xploree is a unique Search & Discovery platform created by KeyPoint Technologies. It is the industry’s first user-initiated, hyper-contextual, platform with language intelligence that conveniently connects mobile device users with brands offers and services in the exact moment of need. Xploree predicts a user’s needs and delights them through their journey across applications as they discover most relevant content, apps, deals and services. Reverie Inc – Reverie builds a language as a service platform that enables search and discovery of local language content, interaction in any language, and creation and publication of local language content and apps.Reverie’s Language Platform is used in the consumer Internet space (online retail, E-Commerce marketplaces, travel, vehicles for hire and more), banks and financial services, e-governance, across millions of devices, and more. Swalekh, Reverie’s free multilingual keypad app, enables typing in 3 modes in 11 Indian languages. Teamchat is an enterprise-messaging app that enables clutter-free messaging for teams of unlimited size. It is an innovative product with patent-pending smart-forms that summarize responses enabling important message content to stand out. Teamchat is available on all mobile and web platforms and is used by 1000+ orgs worldwide, including some of the largest enterprises in the world. What Fix – provides instructions right inside websites; no more verbose howtos and screencasts. It create flows (guides) in just a few clicks; you can see ‘see live’ help directly inside websites; embed flows as articles, slides, buttons. Xurmo – Xurmo is a Big Data analytics platform that determines the natural structure of raw data and stores it in a patented format. The platform then allows instant Search-guided Query so that complex analysis can be performed without any schema design and use-case specific data models. We have had a good run so far, and we hope to continue to contribute towards showcasing the best of Indian software products to an eminent group of global CIO’s. We are proud to have been able to build on our track record of 2014 and aspire to make it bigger and better every year. Our commitment towards making India a ‘Product Nation’ feels revalidated. Watch this space. We shall soon announce our next ten finalists. 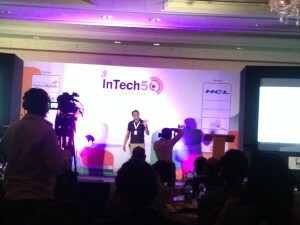 InTech50 is a flagship event of iSPIRT & Terenne Global. It is a showcase of some of the most promising software products created by entrepreneurs from India. The top 50 companies that will make it to InTech50 are selected by an eminent panel comprising of Chief Information Officers (CIOs) of marquee companies, VCs, and senior executives from Product companies. These chosen 50 companies will receive advice, on-going mentoring, product marketing support, and funding to scale their offering to the global markets. We received over 228 applications (As expected, we had a slew of applications that came in on the last day). Thanks to the efforts of our core team and jury members we have now closed the first leg of InTech50 2015 selection process. Germin8′ Social Intelligence stakeholder insights and engagement platform that collects and analyses conversations in real time from public sources and private sources, and converts them into industry-specific actionable insights and leads. Framebench is the easiest way to view, annotate, discuss and collaborate over any file online. Be it an presentation, a high res image or even a video. Freshdesk is a full-fledged cloud based support software that lets businesses support their customers across email, phone, chat and social media. Indix App and Indix API – They collect, organize, structure and analyze a huge amount of product and product related info so that businesses can use their apps and APIs to improve product search, optimize offers, better target product ads, enrich their catalog and do ad hoc analysis. Qubole Data Service is a self-service platform for big data analytics that runs on the three major public clouds: Amazon AWS, Google Compute Engine and Microsoft Azure. QDS provides platorms like Hadoop, Hive. Spark and Presto as a service along with programming interfaces like SQL, Pig, Cascading, Scala and Python – all through an intuitive user interface that encourages collaboration. Sapience is a patent pending software product that catalyzes a Mindful Enterprise. By combining self-quantification at work for individuals and enterprise effort analytics, Sapience enables data driven decision-making in empowering employees and management towards productivity and wellness. Seclore FileSecure helps enterprise define, control and audit the use of information as it flows within and outside of the enterprise. It allows enterprises to embed security, privacy and compliance policies within information itself. Talview Video Interview platform is reinventing the way screening and selection happens in the industry. They are the second largest player globally in video-mobile recruitment tools augmented with talent engagement and state of the art Hiring Analytic Technology. ToneTag is a patent pending proximity tech that allows easy, frictionless and secure proximity payments using sound (Tone) or NFC (Tag). Depending upon user device and retail pos hardware, mobile application can toggle to initiate in-store purchases using sound or NFC. It works on any mobile device and no internet is required on user device at time of initiating payment. We are delighted that InTech50 has emerged as a platform that connects high-potential products to CIOs, investors, Executives from product companies and other stakeholders of the co-system from across the globe. That individuals and organizations from across the world consider InTech50 as the annual event that showcases a well curated and end-user driven platform for “Innovation for a Smarter Future” is encouraging. iSPIRT is committed to work with each of the selected companies to make a difference in their entrepreneurial journey, with support/advise/mentoring/guidance and giving their ventures a thrust as they scale up. Do follow this space, as we will soon announce the next batch of 10 InTech50 companies. In a highly competitive market, and one where market dynamics are changing faster than ever, innovation is the key to long-term sustainability and success. History has proven that companies that have a culture that encourages innovation stand a far better chance at sustaining their leadership position or emerging as market leaders. Businesses recognize that. Most progressive businesses have put in place people, processes, resources, and investments and encourage a culture that fosters innovation. Considering the fact that companies need to innovate faster than ever before, many companies now are also looking for absorbing innovation that is independently created outside their company. Smart companies recognize that they cannot hire all the smart people, and that smart and relevant innovation is also happening outside of their organization. Their efforts are therefore directed not just in innovating within the organization, but on engaging with innovations from outside as well. By ‘outsourcing’ innovation, many leading companies have managed to minimize innovation costs and associated risks by as much as 60% to 90% while simultaneously reducing cycle times. In addition, they leverage tens to hundreds of times by internally investing the resultant savings. By engaging with innovators outside the organization, larger companies are able to look at a significantly larger pool of concepts and products, and thus are able to significantly reduce the cost of deploying innovative solutions and products for their businesses. To enjoy the benefits of outsourcing innovation, the executives and the front-line should be on the lookout for the latest and most innovative technologies emerging across the globe and then figure out which ones they can leverage to derive the maximum synergy. What is important is that you catch innovative companies’ young, i.e., when they are still in the startup or early-growth stage. Identifying and engaging with companies at an early stage has significant benefits for a large company, not just in monetary benefits, but also in being able to guide the product / concept design to best suit their own use case. Larger companies who may not have the ability and bandwidth to scout for innovation independently can easily collaborate or partner with enablers in the entrepreneurial eco-system like accelerators, incubators, early-stage funds, and also the emerging online platforms that showcase startups and early-stage companies. Domain specific ‘hackathons’, mentoring clinics, and boot camps are some other ways in which larger companies can connect with relevant innovators. Acquire the company – in some situations for competitive reasons and to get a longer lead-time compared to competition it might make sense to acquire the company. Use the product – – sometimes it is worthwhile to simply use the product as an add-on or bolt on to the existing eco-system to provide a unique offering or enrichment to the existing solution. Partner with the company – This option involves jointly developing the product or innovation further, keeping in mind your specific requirement. This way, the innovation can be customized to suit your needs. These are interesting times, particularly for software products. The pace and quality of innovation in India has gone up significantly. At iSPIRT, we have seen the quality of entrepreneurial talent, ideas and products, improve rapidly. We have quite a few global standard companies as witnessed by the global scale acquisitions, and the pace at which newer ideas are being introduced is very encouraging. It is also encouraging to note that a number of larger companies have already connected with us to get an early glimpse into innovations. The InTech50 event is a great initiative to showcase innovation to CIOs, product leaders and VC’s that provide the platform for the innovators to springboard. 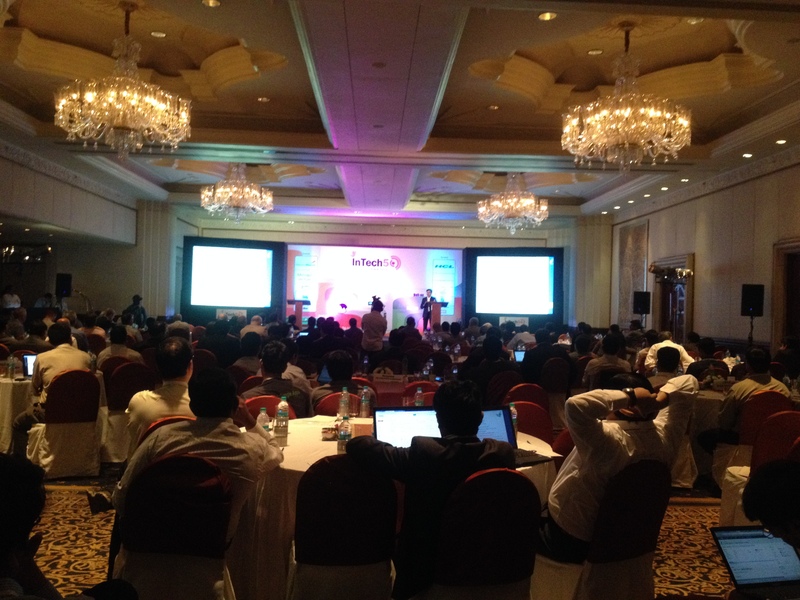 This post covers the highlights of day 2 of InTech50 2014. The highlights of day 1 are here. Before getting into the highlights of the pitches of the 50 companies, here are some important points from the expert talks and panel discussions. Quality of the team trumps everything else. Everything else – product, technology etc. are not as important as the team. In a startup journey, the product will change, technologies will change and pivots will happen. Hence the quality of the team is paramount to make corrections along the course. The team has to be focused on one thing and believe in what they are doing. VCs get tons of unsolicited mail. While they try not to miss any of them – it is better to go through a warm introduction through some common person. Otherwise, getting together will be difficult. Chris Hjelm, Dawn Page, Jay Jayaraman, Damn Frost discussed their view of startups and what startups should consider when engaging with large enterprises. Startups need to understand the business needs of the enterprises. The startup’s product should solve their business problem. Be relevant to their needs. For example, Mobile Security is a big pain point – and they will be very willing to anyone who has a good solution for them. Don’t talk jargon to CIOs – cloud, unstructured data etc. do not excite them. That is not relevant to them. Talk to them on how you can solve their problems. CIOs get tons of emails – identifying a good startup is like finding a needle in a haystack. Word of mouth is a very good medium as CIOs are very well connected with each other. Be realistic about what you can and cannot do. If a small startup promises to solve world hunger, credibility will be at risk and it can adversely affect the next steps. Do your research on the CIO’s company, their technology choices and current technology investments. Most of the time, this information is freely available. Try to experience the business the CIO’s company is in and then explain to them how your solution fits into their scenario. CIO’s are also looking at the business model of the startups to see if they are going to be long term players. Innovation and User experience are two areas where CIOs are willing to look at new things. One of the big challenges for large companies to work with small companies is scale. Usually, smaller companies do not have the resources to handle requests from a large company. A good and respectable CIO has a lot of say in the company. So it is good to go through the CIO. At the same time, the business group should be excited about your solution so they can back the CIO’s decision. For large companies – data is their most valuable asset. Non-essential data can be put on cloud, but the essential data has to remain on premise e.g. customer data, financial data, as that is very sensitive information. The 50 InTech companies chosen to present in the rapid-fire pitch were selected out of the 200 applications. Each jury member independently scored all the applicants, and the top 50 were chosen. The InTech50 companies are of different sizes and operate in varied domains. While some of them are leaders in their space and mentioned in Gartner’s magic quadrants, some are pre-funded startups with just a handful of customers. Most of the companies have a global customer base. Some of the companies have customers from more than 100 countries. Each company got exactly five minutes to present their product in a rapid fire pitch. Thanks to the excellent planning and execution by Manjunath Gowda of I7 Networks, it was all smoothly executed and on-schedule. 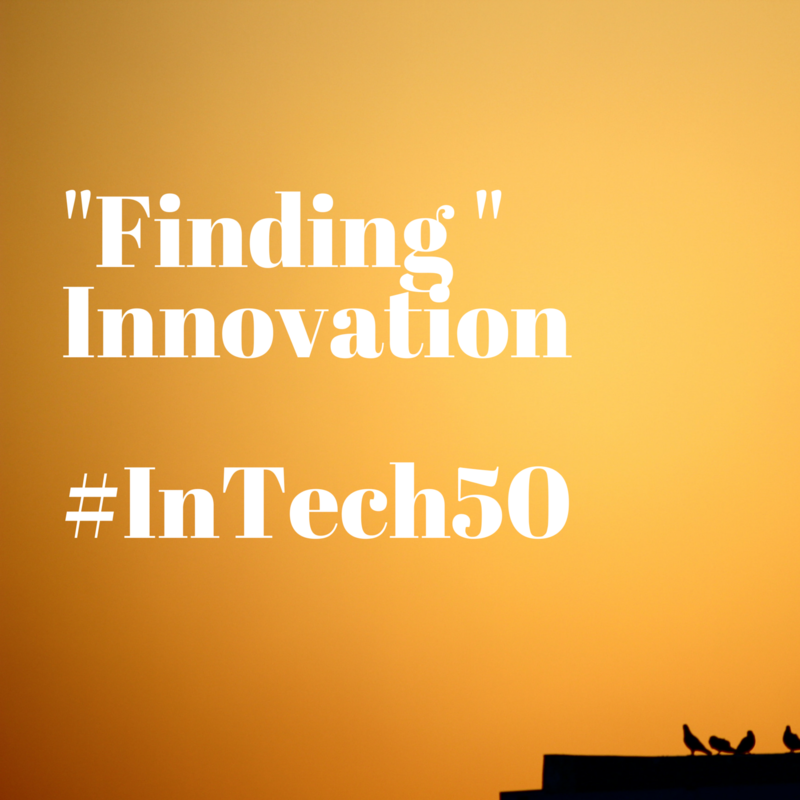 You can learn more about these 50 companies in the InTech50 Booklet. Five awards were given at the end of the day under the following categories. In addition to the great learning from the expert talks and panel discussions, several companies got very good feedback from the CIOs on their product and many got good leads to pursue. Overall, all the participants found InTech50 very valuable and were extremely grateful to iSPIRT for providing this platform. Vasanth Kumar, Co-founder and COO of Sheild Square, said that they got two “proof of concept” (POC) engagements at the conference. Manjunath Gowda, CEO of I7 Networks also got two POCs and quite a few leads. Satya Padmanabham from Zapstitch said he got to learn a lot from other companies as well about the different business models and it was a great exposure overall. Varun Sharma from iViz security said they got good response from CIOs as well as other InTech50 award winning companies. And it was a great platform to network. 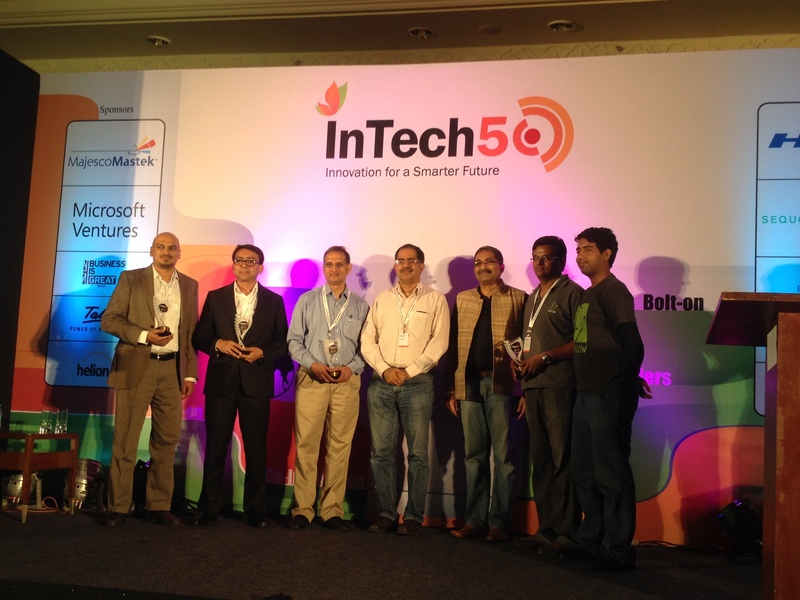 Next InTech 50 is on April 15th and 16th 2015 at Bangalore. Mark your calendars and be there! InTech50 is a joint initiative by iSPIRT and Terrene Global Leadership Network. InTech50 is a showcase of some of the most promising software products created by entrepreneurs from India. 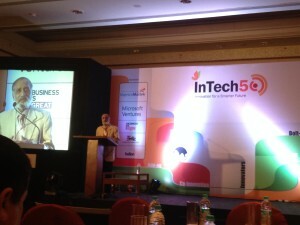 This is the 1st InTech50 and is going to be an yearly event. The inaugural edition of InTech50 saw great participation: 50 Top Indian product companies showcased their products to 25 Global CIOs, 25 CIOs from top Indian companies, 25 top investors, angels and accelerators from US and India and several visionaries and media across India and US. Piyush Singh and Sharad Sharma co-chaired InTech50 2014 and put together an excellent program for 2-days. Day 1 was all about content-rich talks and panel discussions from visionaries and experts to inspire and guide the product companies. Day 2 was dedicated to the 50 InTech50 companies to pitch their products and was also interspersed with highly relevant talks and panel discussions. This post covers Day 1, Day 2 is covered here. By next year, India will be the 2nd largest hub by number of startups. 82% of Indian startups focus on a global market. Read more statistics in the InTech50’s booklet. Sharad mentioned that there are three broad areas where he sees growth in the Indian Software Product companies. 1. Software Infrastructure: This includes things such as security, BYOD, cloud, app management. One of the initiatives of iSPIRT is to educate small Indian businesses about SAAS potential and products. Today, this knowledge is lacking and these businesses are not informed buyers. 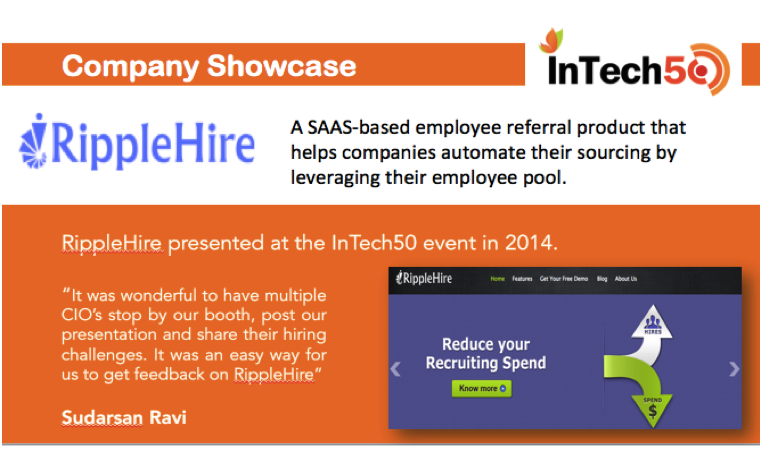 So far, 60,000 small businesses have been trained by iSPIRT on SAAS. Another iSPIRT initiative is working with the corporate development teams in large enterprises to foster M&A of startups. Dr. Srivatsa Krishna (IAS, Secretary for IT, BT and S&T, Government of Karnataka) enthralled the audience with his presentation on “Why India Rocks”. Dr. Srivatsa shared interesting facts that to establish his premise of Why India Rocks. Indian IT Industry contributes to 8% of GDP and 25% of exports. 80 of 117 CMM Level 5 companies are Indian. IT revenues grew from USD 100 million revenue in 1992 to USD 100 billion in 2013. 100 Indian companies have more than $1 billion market cap. 150 of Fortune 500 companies have R&D centers in India. 400+ of Fortune 500 companies outsource work to India. By 2020, there will be 20 lakh IT professionals in Bangalore. Along with IT, Gaming and Movies is also growing big time in India. Labs in Bangalore created substantial portions of movies such as Skyfall and Life of Pi. A huge Media City is being planned in Bangalore where most of the post-production work of movies is envisioned to happen. The Media City will do to the digital movie and entertainment industry what Electronic City did to the Indian IT Services Industry. What started as labor arbitrage in the initial days of IT industry has now grown up in the value chain. Mu-Sigma is an example of a world-class product company from Bangalore that has now more than 4000 employees and is the 2nd largest big data analytics company in the world. Bangalore is already the IT capital of the world. The next step is to make it the Innovation and Startup capital of the world. Dr. Srivatsa mentioned that the government is being a catalyst and enabler. Along with the big cities, Tier 2 and Tier 3 cities such as Mysore are also being developed. One of the initiatives is to offer land for free if the company creates jobs. For every 1000 jobs created, the Govt. of Karnataka will give 1 acre of land free on a long-term lease. There are also exemptions from outdated labor laws and special tax breaks are available to encourage the Software industry. On the flip side, he also mentioned that there are challenges such as being ranked 132nd in the world to do business, long time taken in courts to enforce contracts etc. The good news is that that government is working harder and faster towards making it better. Kiran Karnik, Member, National Innovation Council, Government of India, visionary ex-President of NASSCOM, and the prestigious Padmashree award winner, delivered the keynote. Mr. Karnik said that Innovation and Software Products are the two main areas that will drive growth for India. 1. Democracy: Though there are some bottlenecks with respect to government speed and enforcements, it is trying its best to promote the industry and is improving day by day. 2. Diversity: Most of the innovations happen when there is good diversity – e.g. bay area and east coast of USA. India also has a varied diversity and the cross-pollination fosters creativity. 3. Demographics: The largest chunk of the population of India is young and this human capital is a great asset. India has the unique combination of cheaper, better and quicker. Some other countries have one or two of these attributes, but India has the unique advantage of possessing all three attributes. The Indian work ethic is now famous in the world. While this is giving an edge to India currently, our future depends on how we innovate and differentiate. The Indian IT Services industry has done tremendous service to the country and has created a very good foundation of talent and branding. The product companies should now leverage this and take us to the next orbit. The future of India is in Software Products. DNA of product companies is different from services companies. Not just in India, but world over, due to the different goals and business models. It is difficult for service companies to become product companies. Startups are ones that will make disruptive products. Startups should target global markets, but they should also leverage the local markets for validation, testing and getting the product right. Product successes are happening from India and we will see many more in the coming years. During the early stages, startups must incentivize early adopters by giving them special deals such as co-development, deeply discounted prices, royalties etc. From the early days on, it is best to build the product along with a live customer. Companies should keep an eye for serendipitous events and leverage them. Shoaib Ahmed of Tally said that they resisted the urge to take to services. They remained focused on being a product company. According to Shoaib, the key reasons for Tally’s success are the mantras of “Customer First”, “Partner Growth” and “Building a Reputation”. They also leveraged inflection points in their industry – for example, when VAT was introduced in India. 2. Context (of the user). 4. Cheer (make it an enjoyable experience. The current trends are predictive design, self-service design and ubiquitous design (across all devices). The mindset should change from ‘What can the product do?” to “What can it do for the customer?”. If focus is lost from the customers’ needs, the product will become irrelevant. For example, Netflix and Amazon were disruptive to Blockbuster and Barnes and Noble because they made it that much easier for the customer. Rishi Krishnan, from IIM Indore, gave his insights on how to make product innovation work. According to Rishi, if the following three attributes are satisfied, the chances of success increase by a large amount. 1. Painpoint. It has to solve a real painpoint for the customer. 2. Wave. The currently talked about area, which is doing the buzz. 3. Waste. Areas where there is lot of wastage are prime candidates for companies to optimize. One example he gave was of Vigyan labs in Mysore. Vignan labs are working on controlling power consumption in data centers. They are satisfying all the above three attributes and hence he sees a very good future according to him. Rishikesha gave another example where he contrasted Ace Commercial Vehicle (4 wheeler for last mile transport of goods) and Nano car, both products from Tata Motors. Ace has been a tremendous success, while Nano is not. And the primary reason is that customers drove the requirements for Ace, and customers were involved at each stage from conception to delivery. Market input is key. Product managers should know how people use their product and in what context. Concepts such as lean startup are very relevant for startups. You need to do rapid experiments to validate your assumptions. Experiment with business models too, not just technology. For example, Google does around 20,000 experiments every year – only 500 of them go live. Mukund Mohan, from Microsoft Ventures, educated the audience about the cultural differences between Indians and Westerners using vey effective role plays. For example, how Indians expect the product to speak for itself, and focus more on the product features rather than customer needs. One of the key takeaways is to understand the customer in their context, understand their pain points and establish a personal connection. First ensure that the counterpart is interested in doing business with you – that is the first step before looking into the merits of your offering. Rob discussed several technical terms and valuation methodologies, making the audience realize that it is a non-trivial and complex subject. The key takeaway is that the VC financing terms are more important than pricing. Make sure you consult a professional and understand the financing terms before you sign up with investors. Try to create a competitive process for the VCs. Having multiple VCs interested leads to a bidding process and gets the best deal for the entrepreneur. Investment is a relationship game. Find a VC with whom you can gel well. This is going to be a long-term relationship and it is very important that you like each other. This is the most important consideration and the not the amount of money being invested or the amount of dilution. If possible, find an investor who has got reserves for follow-on investments. This will be useful if you need more money as the investors also want to protect their prior investments in you and will be more open to invest if they can. Another key takeaway is to not raise money when you are desperate. Better to raise money before you get to that state. And maintain your momentum during the fund raising process to show continuous results. Find VCs whose strategy and success fits your business. Understand what is important to your prospective investors. Manjunath Gowda sold S7 Software for US $8.5 million in 2010. S7 Software was in the space of Software Migration and built tools and provided Software Migration services. While pitching to BlueCoat – a US based company, BlueCoat expressed interest in acquiring S7 Software to become their India R&D center. The valuation was very tricky and Manjunath was recommended different models by different gurus – such as discounted cash flow analysis, multiple of annual revenue etc. Manjunath quickly realized that these models were not relevant in his situtation. Manjunath found out the real reason why BlueCoat was interested and what BlueCoat would have gained from the acquisition – in this case the engineering talent of S7 Software. Once that was clear, the valuation focused on benefit to BlueCoat and not on the standard textbook models. To paraphrase Manju – ‘Similar to how beauty is in the eyes of beholder, valuation is in the eyes of the buyer”. Kumar Rangarajan from Little Eye Labs, the current rock star of the Indian Software Product ecosystem (first Indian acquisition by Facebook), gave an inspiring speech about their entrepreneurial journey and how they were focused on their vision and were flexible to adapt and planned for acquisition as their exit strategy. Please continue reading the highlights of day 2 here. InTech50, a joint initiative by iSPIRT and Terrene Global Leadership Network, that recognizes most promising software products by India’s entrepreneurs, is pleased to announce the booklet which has more details about the 50 companies. We are only 9 days away from the inaugural showcase event. We are looking forward for the CIOs to dawn upon Bangalore to see the InTech50 – 2014 companies. These are the 50 best Enterprise Indian Startups as selected by the Advisory Board. Providing the startups exposure to Innovation leaders is a huge step in their validation and evolution to next stage. Let me take the opportunity to welcome the CIOs from India who are going to be at the event. Their presence will bolster the startup activity in India and we are hopeful that it will give it the necessary fillip for these innovative companies to positively impact the Indian corporate enterprises. Meheriar Patel, CIO, USV Ltd.
Subrahmanya Gupta, Boda Group, CSIO, GMR infrastructure ltd. The countdown to InTech50 has begun – as we are nearing the event that takes place on April 9-10, 2014 in Bangalore, to witness the 50 Most Innovative Products from India. AppExe from Mobilous is a zero programming product building tool that requires no development expertise. Apps built by AppExe are fully cross-platform –iOS, Android, Windows … including HTML5 capable. It offers easy integration plug-in framework to connect with backend databases – SAP, Oracle etc. CereBrate is a digital platform for hospitals to manage customer experience and engagement. The product’s intuitive and powerful analytics enables the hospital management to identify areas of concerns and take action. Seamless integration with Hospital Information System using HL7 allows hospitals to ensure enhanced customer experience. Continuity Patrol™ from PerpetuuitiTechnosoft, based on BS25999 standard provides full automation of the workflow activities that enables a single-click Disaster Recovery solution to enterprises. Its real-time dashboard provides ‘C’ level executives with complete visibility into health of the DR environment and services. Its cloud based business model helps customers maximize cost savings in a virtualized environment. Heckyl – FIND provides real time news and data analytic platform for retail traders and brokerages. The app gets integrated with trading terminals to provide quality Information, Visuals, Heat Maps of Sentiments and Market Data to help traders find trading opportunities in this dynamic market. Interview Master is based on the concept of automated video interviews, which comes with provision for recruiters to pre-design questions, setup interviews, and invite any number of candidates quickly and efficiently. This is followed by an automated process that also helps candidates with limited technical knowledge to attend interviews that are available in a structured inbuilt evaluation tool to the line manager at his convenience. InstaClique is an engagement and conversion solution for E-commerce stores that converts casual online viewers to real customers by re-creating the social offline buying experience. This enables virtual shoppers get a personalized experience based on their shopping activities and preferences. ILANTUS Unified Express provides one-time sign on for all browser based application with self-service password and synchronization. Users can seamlessly access any browser based, web or cloud applications on their workstation without retyping their username/password. This helps enterprises adopt cloud applications in a secured way by providing industry standard protocol based on single sign on. Linguify from LinguaNext is a zero-code change application solution that helps transform the way global corporations, software application vendors, and system integrators address the multi-language requirements for their applications. Linguify translates screens, reports and files to any language without requiring access to the application source code or database. Notiphi is a leader in location analytics. By directly measuring locations through smart phones and leveraging big data technologies, Notiphi is able to understand the real-world paths and consumer behavior patterns, which empowers brands to send relevant rich media content to focused audiences. ZapStitch is a Cloud data integration platform. It lets you seamlessly sync and integrate data between various Cloud/SaaS business apps without any custom programming or engaging API developers. The product meets the requirements of business managers who want to flawlessly integrate and sync data between these apps. 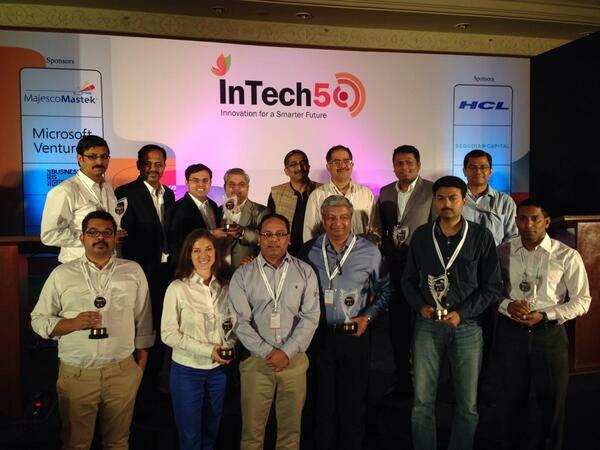 We congratulate all the 50 companies who have made it to InTech50. We also take this opportunity to thank each one of you for your participation and interest in InTech50 nominations. Let’s keep the spirits high!